Summerbottom Cottage is a holiday home located in Mottram in the Greater Manchester Region and is 15 km from Manchester. 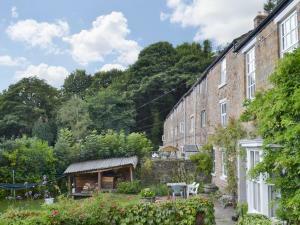 The property is 37 km from Sheffield and features views of the city. There is a dining area and a kitchen. A thriving truly cosmopolitan city with a great mixture of new and old. The capital of the north..
See all Summerbottom Cottage reviews..